This show will be coming this fall to fox and is based on commissioner Gordon and the city before Batman. This will put everything into place I can’t wait. This entry was posted in Comics, TV Shows, Uncategorized and tagged batman, bruce wayne, catwoman, City, fox, gotham, jim gordan, poisen ivy, tv show. Bookmark the permalink. The Roc era held many amazing intros. From Hov’s “The Rulers Back” to Beanie Sigel’s “There’s Nothing Like It”. This would have been Rickie’s intro if he was part of that time in music history. This entry was posted in Freestyle, Hip Hop, Rap, W2TM and tagged 2002, Blog, City, dope, dynasty, for, Freestyle, jacobs, jayz, music, Not, produced, rickie, roc, rocafella, sale, soundcloud, stupid, the, W2TM, windy. Bookmark the permalink. This entry was posted in Hip Hop, Rap, Uncategorized, W2TM and tagged 50Cent, album, boyz, brick, Brooklyn, BSB, City, classic, club, decade, download, g, hip, hop, hovain, itunes, king, music, New, NYC, sevin, star, the, tony, unit, yayo, york. Bookmark the permalink. 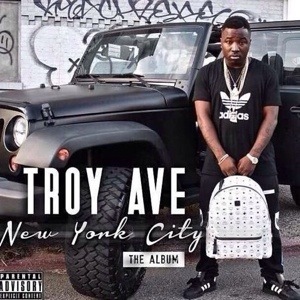 This entry was posted in Freestyle, Rap, Uncategorized, W2TM and tagged bout, Bronx, bx, City, cover, da, Fred, godson, money, music, New, NYC, session, talking, tbm, the, XXL, york. Bookmark the permalink. Before we get into this song don’t forget November 4th the album drops go support Real Music. This entry was posted in Hip Hop, Rap, Uncategorized, W2TM and tagged album, ave, bk, BSB, City, clan. nore, cnn, harry, New, NY, Powder, Raekwon, records, tang, the, troy, wu, york. Bookmark the permalink. Here is the Link to Pushondemand.com for the #BlackRoses D/L click the pic. This entry was posted in Download, Freestyle, Rap, Uncategorized, W2TM and tagged bank, black, Brooklyn, City, da, demand, flag, iceman, in, Jay, mafia, MainO, mandalay, mib, money, Montana, NYC, on, push, roses, taxtone, the. Bookmark the permalink. This entry was posted in Freestyle, Hip Hop, Rap, Uncategorized, W2TM and tagged black, Brooklyn, City, films, flag, ipush, mafia, MainO, Montana, push, roses, the. Bookmark the permalink.